York is a walled city in the north east of England, UK. York’s City Walls are the finest and most complete of any town in England. There are four main “bars” (big gateways), one secondary gateway, one Victorian gateway, one postern (small gateway) and over 40 towers. At just over two miles (3.4 kilometres), they are also the longest town walls in the UK. Over a million people a year take a walk through 1900 years of history on York’s City Walls. Built in Roman times, they’ve been added to and rebuilt over time and now have parts from across the centuries. Originally built as defences, the focus is now on conservation. The Friends of York Walls is a voluntary non-profit making group. 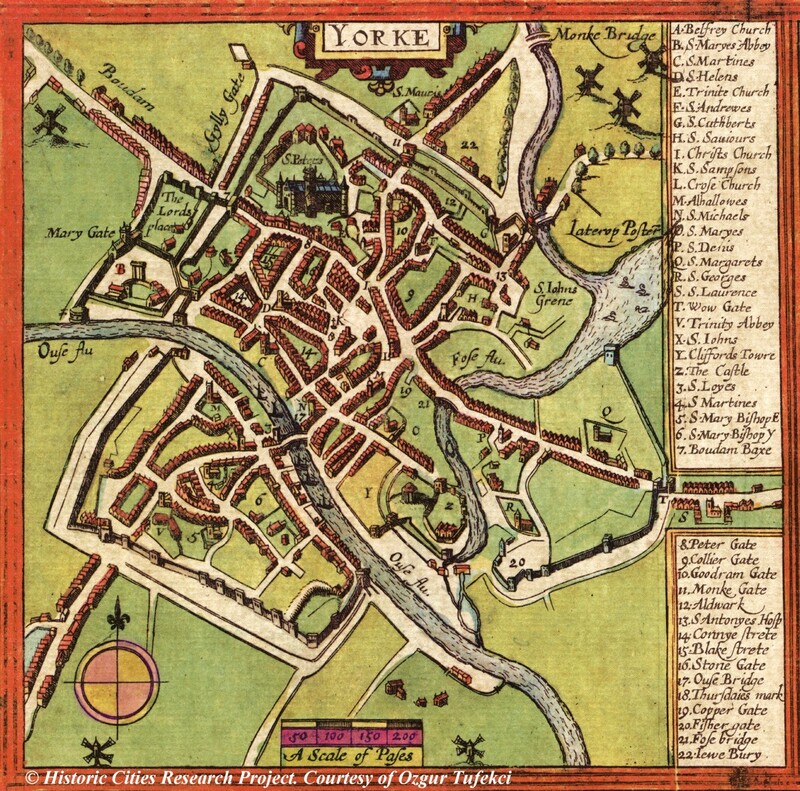 We aim to help promote and develop York’s historic defences (including the City Walls, St Mary’s Abbey’s medieval boundary walls, Clifford’s Tower and the Castle’s old walls) for the benefit of local residents and visitors. We organise and undertake practical work and organise public events in co-operation with the City of York Council and other like-minded groups or individuals. We seek to establish York’s City Walls as a major worldwide attraction, one that the residents of York can take pride in, and residents and visitors can enjoy to the full. We also organise open days at Fishergate Postern Tower. The Friends of York Walls CIO is Governed by a group of Trustees. Only the Board of Trustees have full voting rights at any AGM or EGM. Operations are run by a Management Committee + Sub-committees and Task Groups. All are volunteers. The Management Committee meets monthly, The Trustees meet every three months, and an “Annual Friends Meeting” is held every March. Registered members are referred to as the “Friends of York Walls”. To register your interest in The Friend of York Walls, and receive news of our events and monthly Newsletters, please complete the On-line Google application form HERE (Its FREE). Please including your email address, and if possible your postal address (including postcode) and a phone number so that we can contact you. Please also state if you are interested in volunteering, or in helping in any other way. The aims and objectives of Friends of York Walls can be viewed here. The Friends of York Walls CIO Constitution can be viewed here.